BAY SHORE — A Bay Shore manufacturing business recently moved under the ownership of the Grand Traverse Band of Ottawa and Chippewa Indians’ economic arm. Grand Traverse Economic Development last week closed on its acquisition of Bay Shore Steel Works, which previously was part of Charlevoix-based manufacturer DCL. Terms of the purchase were not disclosed. 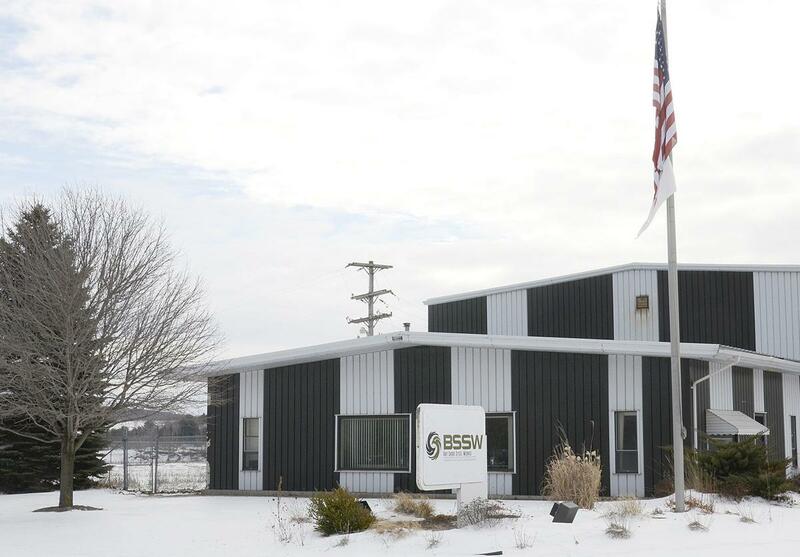 Operating at a plant along U.S. 31, Bay Shore Steel Works is a full-service component manufacturer and finisher, deriving a sizable share of its business from armor plating applications for the U.S. defense industry. Thomas E. Wilbur, chief executive officer of Grand Traverse Economic Development, said the organization will carry forward with the management and employees — numbering about 40 people in all — who were in place at Bay Shore Steel Works prior to the ownership change. “We’re excited about it, because it allows us to diversify our holding company,” he said. Wilbur doesn’t expect significant change in the plant’s day-to-day operation, but he noted potential for the tribal affiliation to open up new business opportunities. Grand Traverse Economic Development was established to help the tribe diversify into non-gaming revenue streams. The commercial investment entity is positioned to seek out contracting opportunities which the federal government sets aside for Native American-owned businesses, based on their links to a historically disadvantaged population. Programs also allow governmental contractors to receive rebates for a portion of their expenses when they subcontract with such businesses, and Grand Traverse Economic Development plans to make Bay Shore Steel Works available for such subcontracting work. Along with Bay Shore Steel Works, Grand Traverse Economic Development’s family of businesses includes Grand Traverse Engineering & Construction in Traverse City as well as pending formation of an information technology firm, a development company and a land holding company. All firms are primarily devoted to federal and state contracting. “In Indian country, we do look at federal government contracting as an alternative revenue opportunity for tribes,” Wilbur said. 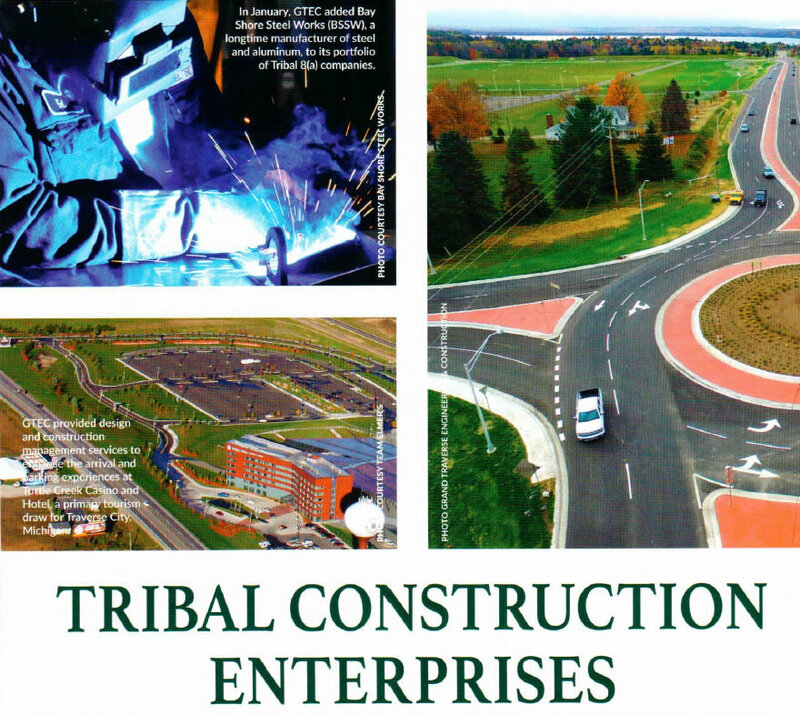 Tribally owned businesses provide a variety of resources — such as information technology services, construction management and facilities management — through such contracts, but Wilbur noted that it’s rare to see one serving the defense industry as Bay Shore Steel Works does. With many Native Americans serving in the armed forces, he added that Grand Traverse Economic Development is pleased for the opportunity to help provide battlefield protection resources for members of the military. With federal defense expenditures trending upward, Wilbur said the tribe’s investment entity sees potential for Bay Shore Steel Works to take on additional business in the future, and perhaps to add jobs in conjunction with this.